Do you provide continuing education for your clients, association members, or professional affinity groups? 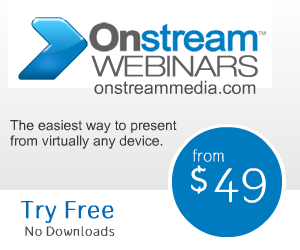 Webinars are an effective and flexible medium for bringing this valuable content to your target audiences around the country or around the world. Join Ken Molay, president of Webinar Success, for a discussion of best practices associated with continuing education webinars. Ken will combine experiences and lessons taken from commercial industry, membership associations, and professional peer groups to identify strategies and tactics that benefit you and your audiences.